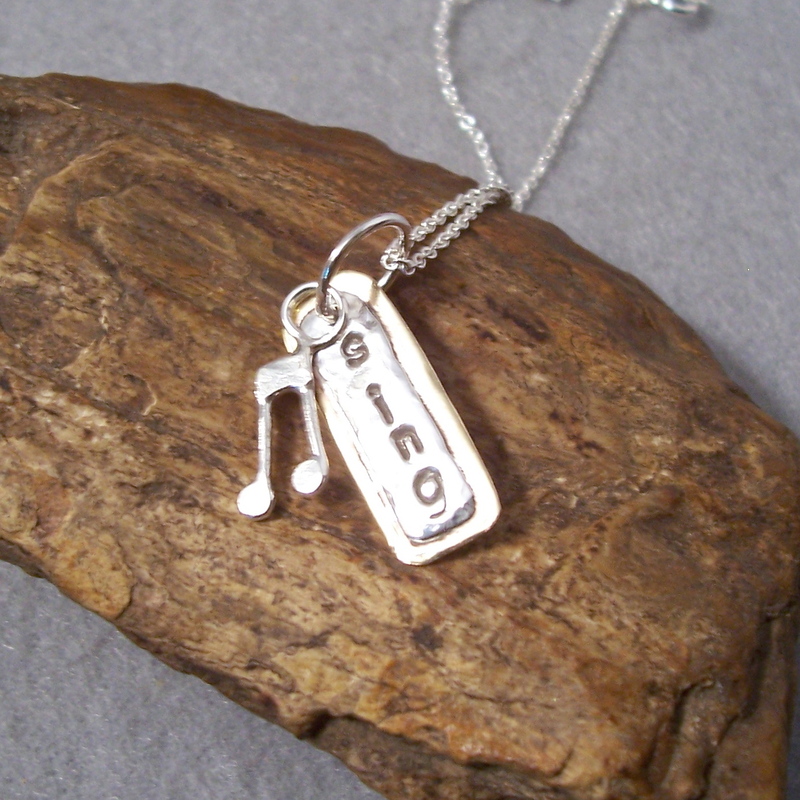 For the music lovers here is a small sterling silver hand made note swinging on the same chain and a little sterling sing pendant. Sing is soldered over a brass backplate for a nice mixed metal look. 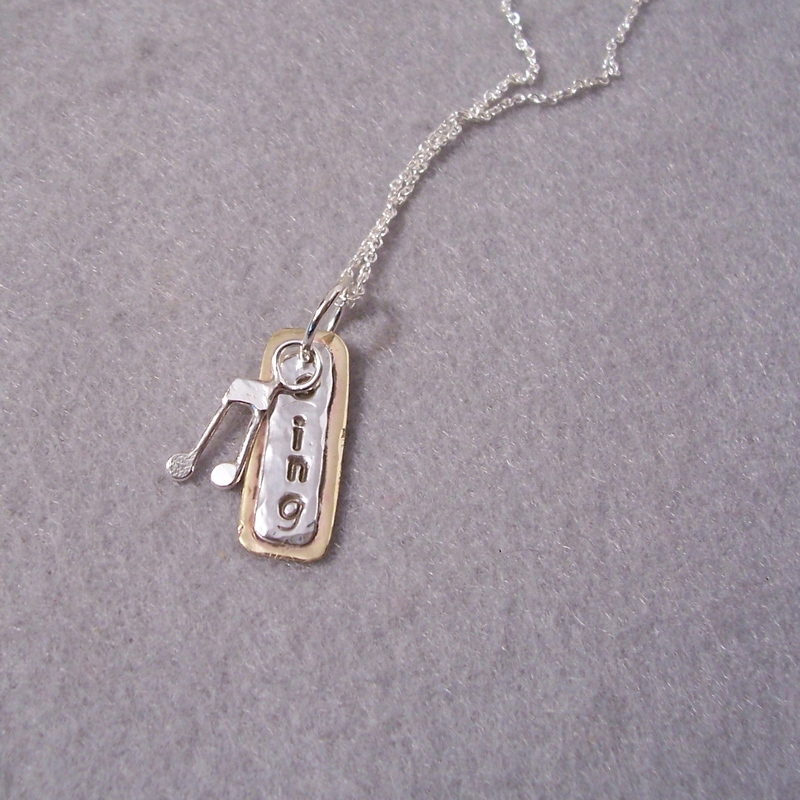 Sing is about 1" and the note is about 3/4"
Even though this actual pendant is sold, I am willing to make another if needed. It could be a different size or word also.